Mini Dental Implants can usually be placed in one visit. Our quick procedure requires no surgical flaps or suture, therefore you will experience very little discomfort. 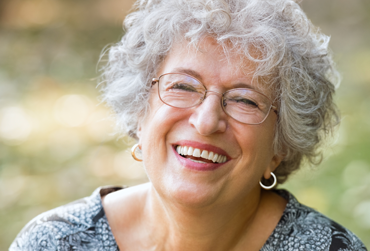 You’ll be smiling, eating, and speaking with confidence after our affordable mini dental implant procedure. We’ll get you started right away with X-rays and impressions on your teeth during your first visit. Mini dental implants successfully hold denture plates in place, allowing you to eat, smile, and speak with comfort. Non-surgical mini dental implant technology has come a long way over the years and now covers an array of teeth concerns, including full-mouth restoration and single tooth replacement. 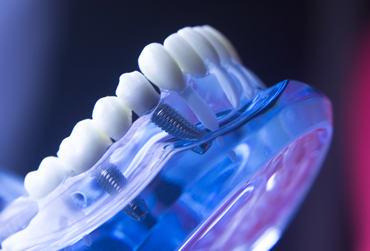 Using our cost-effective procedures, we have installed thousands of Dental Implants with a 95% success rate. In most cases, we can place your implant 30 minutes after you arrive for your scheduled appointment. You won’t find an easier or simpler process for Mini Dental Implants than ours. First you will receive a consultation and pre-op, then your restoration can be carefully placed all in one visit to our office. Dr. Richter provides his patients with a complete tooth replacement solution through Mini Dental Implants. Our office is experienced in all aspects of implant treatment and are trained by specialists in the field and attend staff training programs periodically. Using advanced technology at our state-of-the-art facility, we provide all-inclusive dental care to the people of Ohio.